The sumo deadlift is a legit deadlift variation that’s much more technical than the conventional deadlift and requires a bit of effort and practice to get it right. In the powerlifting community, the sumo deadlift is a popular deadlift variant because the bar less distance to travel in a sumo deadlift than in a regular deadlift and that means you can pull more weight. 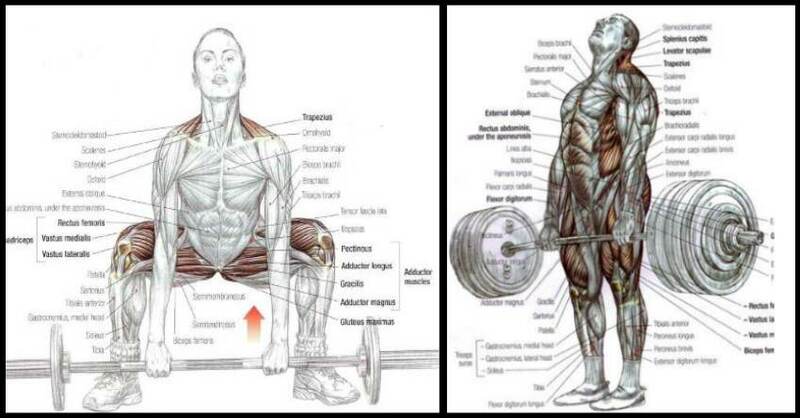 However, this great exercise should not be restricted only to powerlifters because it also offers some great advantages for the average lifter looking to improve lower body functionality and size. Every lifter should experiment with different deadlift variations and discover which one works best with his body type, injury history and personal goals. And for some guys, replacing the conventional deadlift with the sumo variant can bring better gains and minimize the risk of injury. The sumo deadlift works great for people with a back injury because some of the stress of the lift is taken off the back and spread across the quads. Also, it should be an obligatory move for people who have weak hip mobility and flexibility – the sumo deadlift is one of the best exercises you can do to develop your hips and entire posterior chain and improve your overall performance. 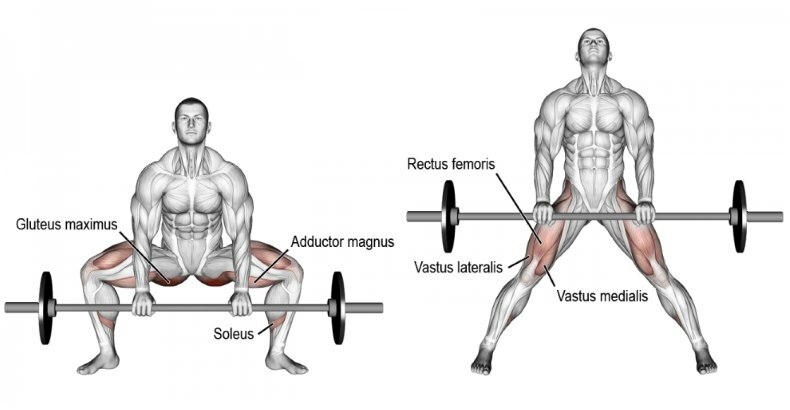 And it goes without saying that in order to master the proper position for a sumo deadlift, lifters need to put a lot of work into improving flexibility around the hips, especially the adductors. That’s not insanely hard to do, it only requires focus and patience and it will undoubtedly polish up your performance at all compound movements and unlock a new level of gains. Even if you’re not a competing powerlifter, this is a great move to have in your toolbox at all times. It might take some time to master it, especially in terms of proper hip mechanics, but it will be well worth your time once you own it! As a heavy compound move, the sumo deadlift should be performed early in your workout. Read the instructions below to learn how to do it right. Stand over a loaded barbell resting on the floor with your shins touching the bar, with feet placed much wider than shoulder-width apart with toes pointed outward. Bend at the hips to grip the bar – don’t squat down to grab it. Use a pronated or a mixed grip. Your arms should be directly below the shoulders, inside the legs, tense and pulling on the bar. Your thighs should be slightly higher than parallel with the floor. Arch the lower back in the bent over position to lock the pelvis into place and create more load on the hamstrings. Drive the knees out hard while shifting the weight to the heel and outside of the foot, and avoid sitting your hips down. Keep your head up and neutrally aligned and raise your chest. Keep your torso erect as much as possible at all times. As you inhale, activate your abs and tense your entire body as you drive through your heels to extend the knees. As the bar passes through the knees, lean back and bring your hips forward until you’re in a standing position, while squeezing your shoulder blades together. Pause for a moment, then return the weight to the ground by bending at the hips. Perform 3-4 sets of 6-10 reps.
As we mentioned above, the sumo deadlift should be performed at the beginning of your workout. Whilst it won’t work your back as much as a conventional deadlift would, it will brutally hit your quads, inner hamstrings and upper traps. You can follow it with leg presses, leg curls and back exercises. You can also perform the sumo deadlift with a dumbbell, using the same form as you would with a barbell. The most important thing is to not get discouraged at the first try and give the sumo deadlift a decent shot before deciding whether it’s for you or not. If you stick with it for a while, you might get surprised with the results! Good luck!